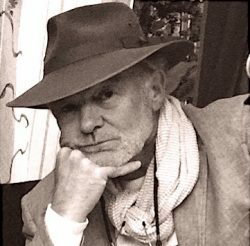 It is obvious from the first page of Paul Nicholson’s book that he is passionate about the two topics he covers in A Piece of the Continent: trench warfare in the First World War and post-war life in France when expatriates, mostly Americans, escaped to Paris from the mundane realities of life back home. With background both as a journalist and a communications consultant, Nicholson is spending his retirement years in Victoria where he researches in-depth and writes about topics that have fascinated him for years. Nicholson has researched both trench warfare and the “Lost Generation” meticulously and weaves them together successfully into a very readable and enjoyable story, a story that might have started during the war and then continued chronologically towards mid-1920s Paris. 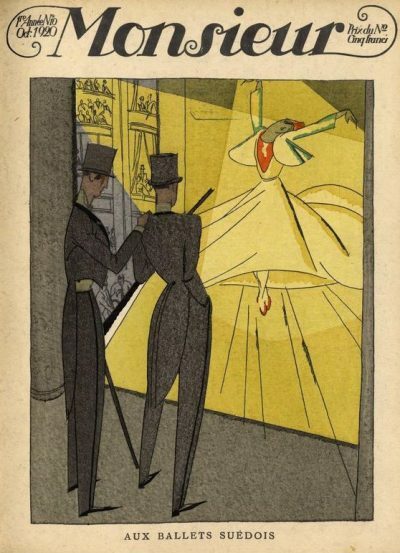 Instead, Nicholson chose to thrust the reader into the year 1925 when his main character, Arnaud Lupine, a member of the Parisian police force, has just been promoted to Inspector at the Sureté. Arnaud’s first assignment is to solve the mysterious death of a young woman whose body was found alongside the Seine. Was it murder or suicide? But Arnaud is still haunted by demons from his past and is continually re-living his time in the trenches of the Great War. In flashbacks he cannot help but compare the sight of the young woman’s lifeless body to the hundreds of young men who were slaughtered before his eyes. One incident in particular has caused him post-traumatic nightmares and will not leave him. His two good friends and neighbours, Gaston and Henriette, lost their own son in the war but desperately want to help Arnaud rid himself of guilt for having survived when so many others died. In the years since Arnaud was invalided out of the war with a minor injury, he has constantly challenged himself on that question. Why did he survive? The vivid memories and nightmares of recurring horrific scenes have caused him to lose his wife, Angelique, as well as his two children and any hope of reconciliation with them. Although Arnaud still loves Angelique, he cannot imagine reuniting with her while still considering himself a broken man tormented by the trauma of his recent past. You won’t fully heal until your family is back in your arms again. Don’t you remember the love you had for each other before the war? 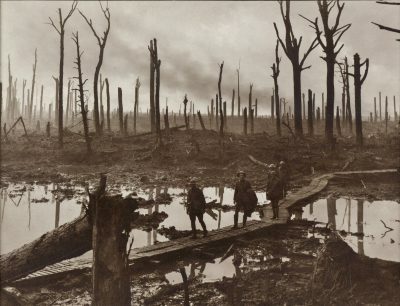 And didn’t you love your fellow soldiers in the trenches? Wasn’t love what held you together in the darkest times. Love is everything, Arnaud, that’s all there is (p. 202). His police colleague and friend, Phillipe, also tries to help Arnaud find his way back to happier times. As Arnaud attempts to solve the mystery of the unknown dead girl, his journey takes him through a myriad of twists and turns that lead to meetings with such notables as Ernest Hemingway, Scott Fitzgerald, Gertrude Stein, and many other writers, artists, and musician ex-patriates living the good life in the doomed economy of post-war Paris. Although these meetings are fictitious, Nicholson manages, through realistic dialogue, to portray these writers and artists in a most authentic way. There is also a diversion in the story when Arnaud has a brief sexual encounter with Véronique, a gypsy woman who introduces him to Tarot and what the cards might mean for his future. I could not decide whether this interlude was completely necessary to the story, although it did add some colour. I was a little disappointed in the ending. I had expected the discovery about the dead girl to be a little different. Other readers, however, might find the ending — which aims to throw an optimistic light on Arnaud’s future — the correct way to close this story. 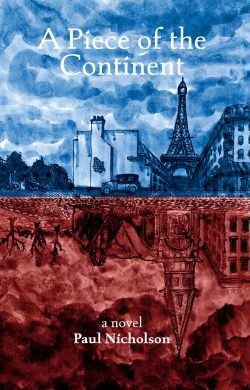 The intriguing book cover art, created by the author’s son, Riley Nicholson, shows in reflection the world of post-war Paris on top of the inverted world of horror of the Battle at Passchendaele. My only criticism is that it might have benefitted from brighter colours to make this excellent painting stand out more on a bookstore’s shelf. Despite these minor points, A Piece of the Continent is a very readable first novel by Paul Nicholson. I feel that there will be more to come from this author. Valerie Green was born and educated in England where she studied journalism and law. Her passion was always writing from the moment she first held a pen in her hand. 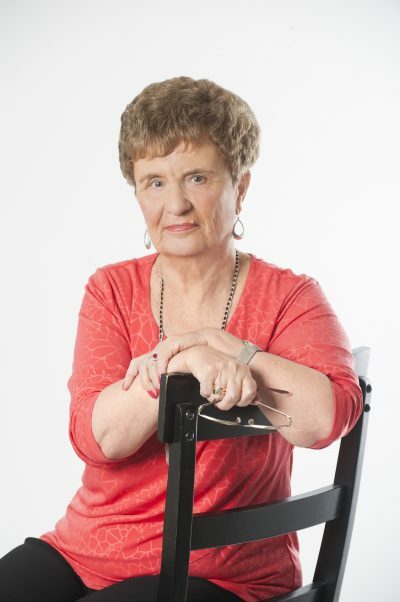 After working at the world-famous Foyles Book Store on Charing Cross Road, London, followed by a brief stint with M15 and legal firms, she moved to Canada in 1968, where she married and raised a family, while embarking on a long career as a freelance writer, columnist and author of over twenty non-fiction historical and true-crime books including Above Stairs, Upstarts and Outcasts, If these Walls Could Talk, Vanished: The Michael Dunahee Story, and Dunmora: The Story of a Heritage Manor House on Vancouver Island (Hancock House, 2017, reviewed in Ormsby #434 by Patrick Dunae, November 29, 2018). In the spring of 2019 her debut novel Providence will be released by Sandra Jonas Publishing, Boulder, Colorado which is the first in a series of four novels (The McBride Chronicles), an historical four-generational family saga bringing early B.C. history alive. Now semi-retired (although writers never really retire!) she enjoys taking short road trips around the province with her husband, watching their two beloved grandsons grow up and, of course, writing.